Urbana native and best-selling author Beth Macy has published her third book and it’s once again gathering nationwide attention. Pictured is the cover of the best-selling book ‘Dopesick’ - available in stores now. She rubs elbows with famous actors, and makes appearances on network TV morning news shows. Urbana native Beth Macy may be a New York Times best-selling author, but she says fame hasn’t changed her life one bit. 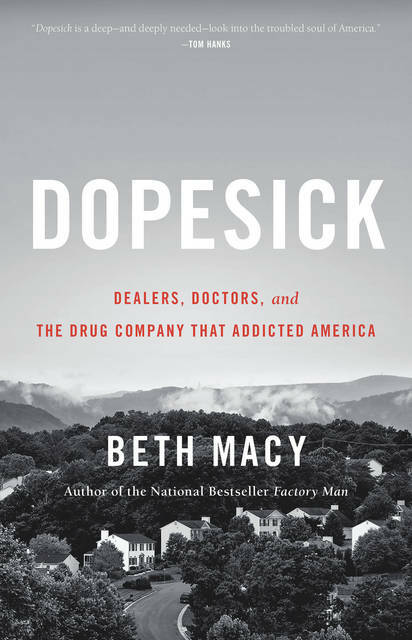 In the next breath, however, she mentions that her latest book, “Dopesick” (Little, Brown and Company), is about to be added to the New York Times Best-Seller List. “That’s always such a cool thing,” she said. 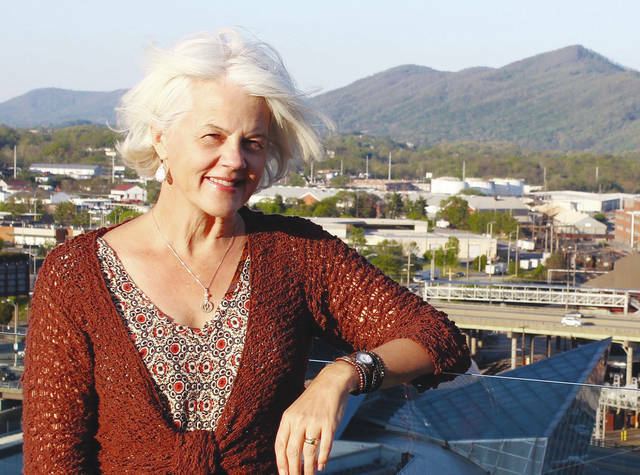 “Dopesick” portrays a specific and emotional set of interwoven stories involving families in central Appalachia who have been affected by addiction. Macy takes the reader directly into the families’ gut-wrenching worlds of too many young adults from various walks of life who fell into the destructive cycle of addiction. The book details the prevalence and supply sources of the legal and illegal drugs that became the means of addiction in what had previously been a rural area sheltered from such powerful chemical substances historically found in larger cities. “This latest book, because of the incredible tragedy of opioids, was really the most difficult to write for many reasons,” she said. Macy received assistance in preparing for the book from Marysville police officer Chad Seeberg, another Urbana native who has unfortunately become an expert on the opioid crisis. Macy said she hopes to have a book signing for “Dopesick” in Urbana this fall. On Friday, Fox 21 Television Studios and the Littlefield Company announced they had optioned “Dopesick” as a potential TV show. As for Macy’s previous books, “Factory Man” was optioned by Tom Hanks for a potential TV mini-series and “Truevine” was optioned by Leonardo DiCaprio as a possible movie. “Both of those projects are kind of in the ‘gray’ development area, but they are both moving forward,” she said. Pictured is the cover of the best-selling book ‘Dopesick’ – available in stores now. Reach Steve Stout at sstout@aimmediamidwest.com.